Chicago -- Chicago! 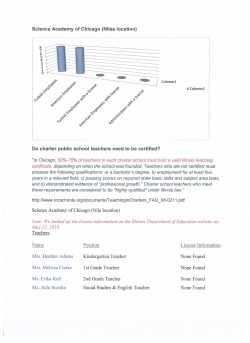 - CHARTER SCHOOL WATCHDOG http://www.charterschoolwatchdog. If anyone can solve this mystery, please contact us. We want to make sure that we give credit to the teachers that do have a license and highlight the ones that do not. Well, someone did contact us to explain that this particular "Turkish-run" school is a private school and not a charter school, costing $7,000 per student for tuition. Now we wonder why anyone would want to pay that much money to send their kid(s) to a school run by Gulen-influenced "educators." Likewise, we would like to know how much of that money is subsidized by the "organization," through scholarship or grant funding. A school review website claims that the school is comprised of 65% of highly qualified teachers, but we are of the mindset that unless you show us the credentials, we tend not to believe everything -- or for that matter --anything -- the guys put out there. So please provide this website with proof of teaching credentials and we will gladly revise the list. 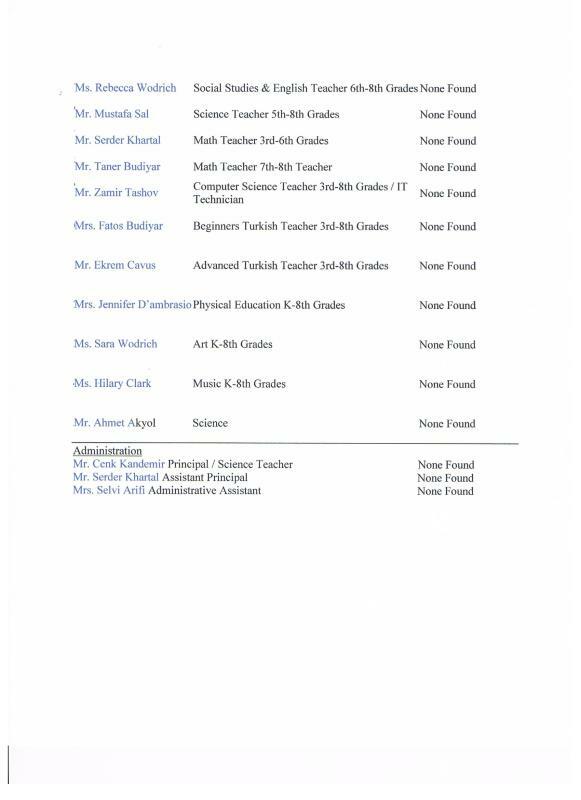 We do know that one of their "highly qualified" teachers, Mustafa Sal, transferred last year from Horizon Science Academy Middle School in Cleveland. His teaching gig at HSA Denison was his first in the United States, and he only held a substitute license in Ohio. Further, he had never taught prior to arriving in Cleveland, and had limited English speaking and writing skills. 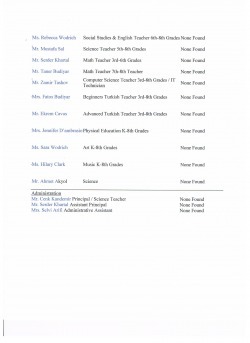 And by the way, if these schools are not connected, how did Sal -- a known Gulenite -- just happen to land a job at this particular Chicago school that is affiliated with the Gulen movement? You have to wonder why the parents that send their kids to a "private school" would not check out the qualifications and teaching credentials of the staff. 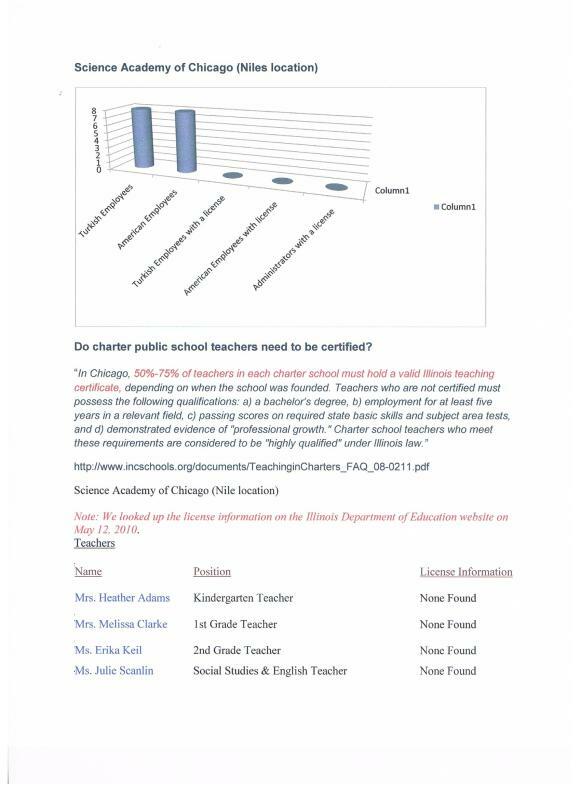 Also, check out the Illinois regulations for teacher licensure and the percentage of teachers at a charter school who must have a license (of some type --- and no, a dog license will not do). Since this is technically a "private school," it seems that there is another set of rules governing teacher licensure in Illinois, that does not require the teachers to register their credentials with the state. We sure hope the parents of the students attending this "private school" are getting their money's worth, or at the very least -- their fill of baklava. And note that the administrators do not have a license either (unless of course it is also somewhere else on the Illinois Department of Education website).